Wii 2 controller to have 6.2-inch touchscreen? The controller for the expected Nintendo Wii 2 console will boast a giant 6.2-inch touchscreen, along with a camera, according to reports in the gaming press. The peripheral is also rumoured to be packing eight buttons and twin analogue sticks, making it about as far away from the minimalist design of the original Wii Remote as possible. Our sister site CVG revealed earlier this week that the controller is set to have a touchscreen, but only today have we heard of the proposed 6.2-inch scale, which would make the pad an absolute beast. While the new controller will possibly make more headlines than the console itself, it won't spell the end for the Wii Remote, according to the Kotaku report. While the touchscreen would be useful to control games like Zelda, displaying maps and the like, the Wii Remote would still be essential for motion control-centric games like Wii Sports. 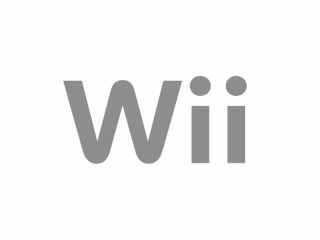 The Wii 2 itself, codenamed Project Cafe, is set to be unveiled at E3 this June with speculation suggesting HD gaming, 3D compatibility and maybe a Blu-ray drive. Earlier this week the price of the original Nintendo Wii was cut to just £100 in the UK, adding more fuel to the speculation that the new model is only a few weeks away from being officially announced.